This Friday, April 20th, come to Tobacco Depot in Brandon for one day pipe savings. Mike Schafer from Scandinavian Tobacco Group will be here offering exclusive deals on pipes & tobaccos. 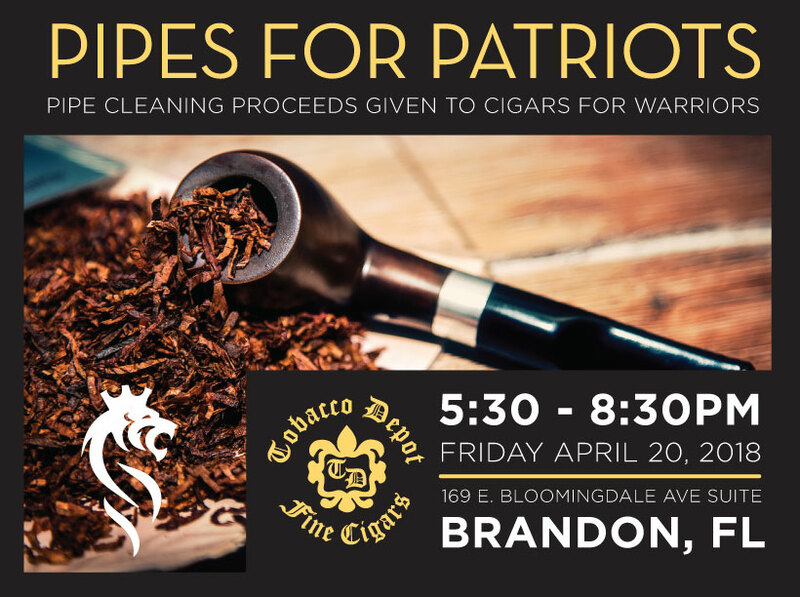 There will also be a pipe cleaning service that will be giving their proceeds to Cigars For Warriors. It should be a night of great smoke, we hope to see you there!